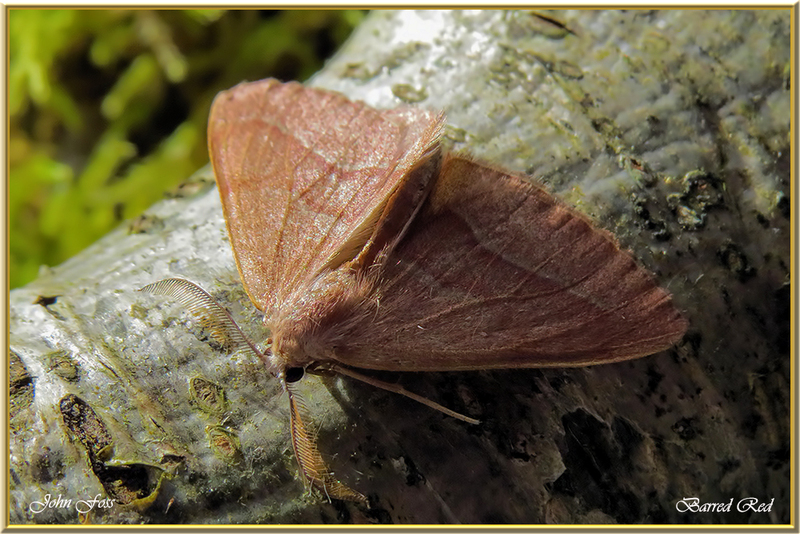 Barred Red - The wingspan of this moth is 28-40 mm. Quite widespread in Ireland. The larvae will feed on Spruce and Pine. It fly's from April to August in two generations and is attracted to light. 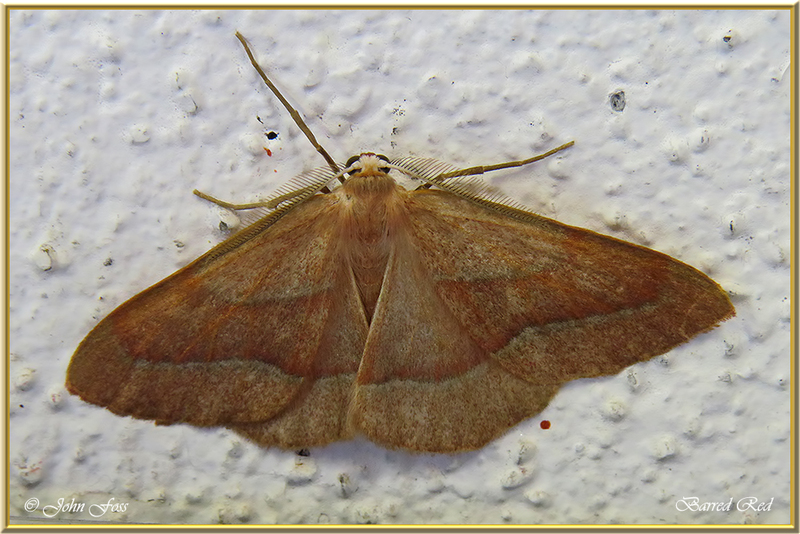 There is also a green form of this moth. These photographed in Co. Leitrim flying in early July.